I’m passionate about protests that shake up systems of injustice, prejudice, and exploitation. The pressures within these systems cause an eruption, and this presents a chance to rearrange and reorder its resources. Languages are one of the most fundamental building blocks of these systems. 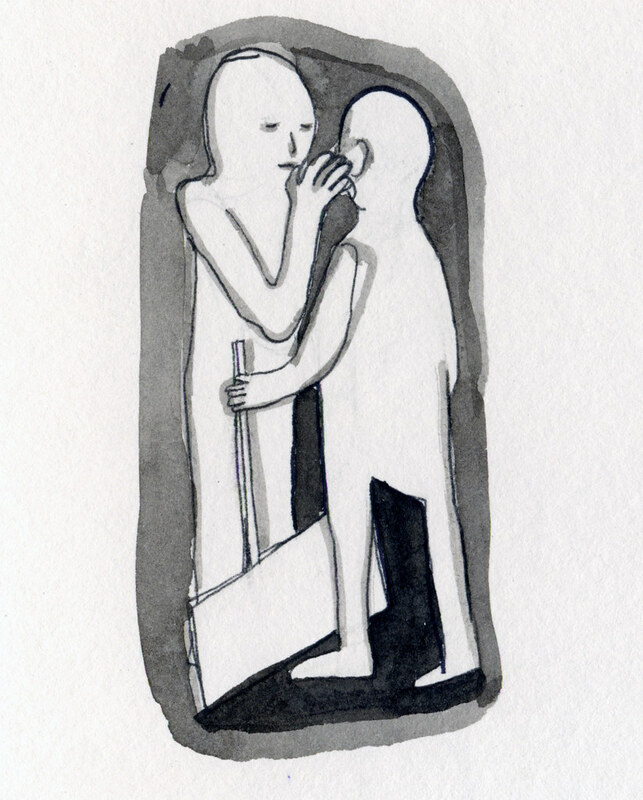 This essay documents the poem’s journey through various methods of translation, in search of a poetic form for a more fair and just society. These days we experience many aspects of social movements mediated by digital technology and networks. 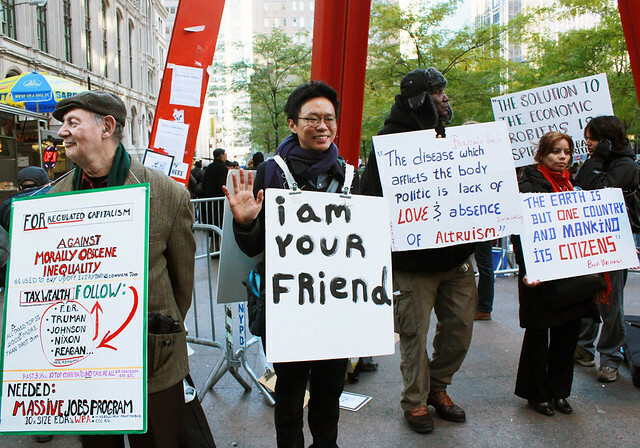 Moreover, sometimes it is the mediation of an event, such as an image of a protest, which sparks public awareness and starts or strengthens a social movement. Most people use digital technology in their lives in some way, yet the code, which the technology runs on, is not broadly understood and is rarely made visible. When it is visible, it’s often because of a glitch. The system of code relies on an incredibly complex process of abstraction, compression, and encryption. Humans and machines speak different languages. Humans are very good at communicating with natural language, however the machines are very good at taking instructions from binary numbers. ASCII stands for American Standard Code for Information Interchange; it provides a means to use numbers to represent characters in a computer. I wrote code in the Python programming language to translate the poem Absence is presence with distance into binary numbers. The result is a collection of words made of 8 numbers, either 0 or 1″. The result is a poem that’s not easily readable for human, although it’s possible to read the poem using an ASCII – Binary table, translating one character at a time. My intention was to create a unique texture with binary numbers. 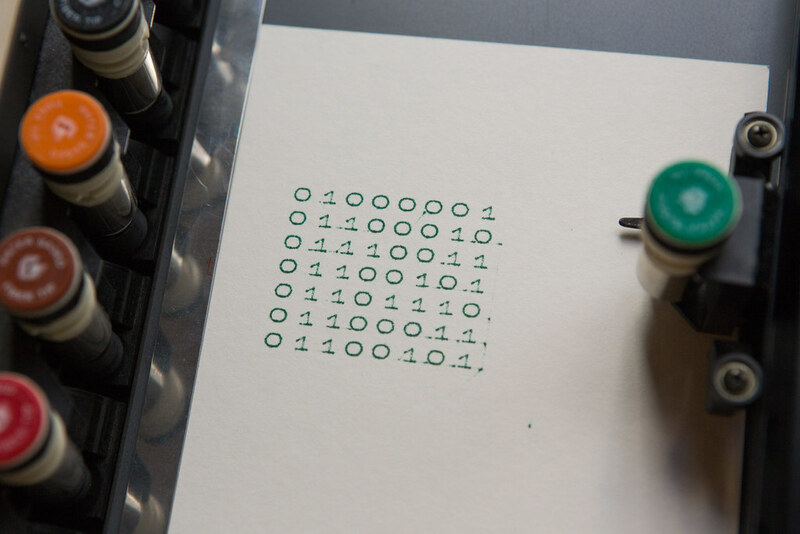 I chose to use a pen plotter, machines that print by moving a pen across the surface of a piece of paper. I collaborated with Michael Simpson, a digital artist and alumni of the School for Poetic Computation, where I teach, to create a typographic system using the distinct typeface and drawing characteristics inherent to pen plotters. For this show, the translation of the poem into binary numbers was initially handwritten, then digitized with a vectorizing software, and finally cut into vinyl and mounted onto the the gallery wall. Each process was an exploration of translation methods and the unique material quality of technology. In a series of ‘code poems’, I’m taking advantage of code’s unique ability to repeat and randomize in ways that are different from humans. The poems usually consist of both the code and its execution. In this piece, the code (in blue) begins with a list of 10 synonyms for the word ‘absence.’ The list is reduced by randomly removing one synonym on each succession. The poem (in pink) consists of the first stanza with the entire list while the last stanza is only a single synonym. The fact that humans have flesh differentiates us from a machine. I’m interested in body movement and gesture as a kind of language. During protests, there is a unique kind of energy that grows out of the crowd. It’s a mixture of the sounds people make, the chanting and the shouting, and the collective bodies in motion around one another. Most people rely on their voice to communicate, but they also use their body to communicate, oftentimes unknowingly. These are hand shapes for the alphabet in American Sign Language (ASL). One can spell out a poem one character at a time. However, translating a poem into ASL is not a mechanical process, but more of a creative process. I asked my friend Christine Sun Kim, a sound artist who is profoundly Deaf from birth, to translate the poem Absence is presence with distance into ASL poetry. She collaborated with another friend Darren Fudenske, an actor and a poet who is also Deaf, to help with the translation. Christine told me signing is like drawing in the air and the process can’t be transliterated into standard English. Drawing, in a sense, is the ideal medium to illustrate hand and body movement used in ASL. The sentence structure and grammar are different in ASL compared to spoken English. The poem starts with “presence” (moving both hands up and down in a subtle circular motion), “distancing” (making a 90 degrees angle with both hands, and slowly separating them with right hand forward and left hand inward) and “makes it absent” (one hand on top, making a shape of holding something and pulling the hand down, behind the other hand). Sign language is a beautiful way of communicating with hand shapes, facial expressions, and body movements. The Deaf community communicates with this language system that takes advantage of the human body. While Deaf people predominantly use sign language, hearing people may also learn to speak it. It’s a reminder of our human ability to communicate without sound. 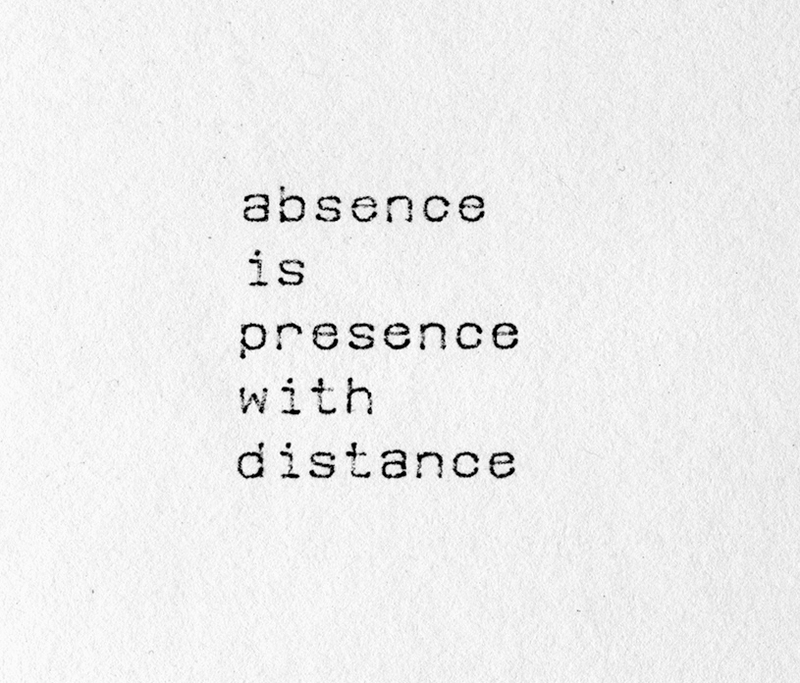 Absence (of sound) is presence (of our ability to communicate) with distance (of the effort to learn sign language). Sometimes it feels like our voices are not heard and our opinions are not reflected in the politics. The second stanza of the poem Silence is noise without a character, comments against the binary division of silence and noise. It notes the disconnect between an individual and the social movement, the wall of silence becoming greater as conversation ceases to continue. Having a conversation about the system gives us an opportunity to break the normative power structure. This project’s title, “Errantic poetry” is a catachresis inspired by the word erratic; mischievous and creative disorder, and the errant; an adventurous journey of languages between the medium. The title is inspired by Édouard Glissant’s book ‘Poetics of Relation’ where he addresses the language of errantry, like a poem that’s permanently wandering or in exile. I appreciate the grammatical errors and accents of someone speaking a foreign language, because it reveals two language systems in conflict. Errantic poetry focuses on such moments by writing a poem that’s only complete when it’s accompanied by an interpretation, a poem that’s written in an uncommon mix of language and accents, a poem that embraces the aesthetic glitches that arise from translation and transfer of medium, and spoken mondegreen, misreading which gives a new meaning. It’s a creative misuse of language to invent new expressive and poetic forms. Writing a poem in an errantic manner is a chance to understand the fundamental systems of the language and the larger systems that are built with it. I’m focusing on the intersection of code, sign language, drawings, and the standard English language. I speak and write Korean and English almost fluently, both with a little bit of accent and often with grammatical errors. I use code in my art projects and help students learn to use technology as an artistic medium. I’m learning sign language in order to communicate with Christine and other Deaf friends. This project is a personal journey between the languages that I use and admire. By inventing poetic forms, we explore new ideas that can transform our perception of the world we live in. By reorganizing the language we speak and use, we can join the poem’s journey toward a world that’s more responsible. Special thanks to Christine Sun Kim, Darren Fudenske, Michael Simpson, Elizabeth Ferrer, Jimmy Tran, Becca D. Moore, Sam Hart. This project is exhibited at Whisper or Shout, artists in the social sphere exhibition at BRIC, Brooklyn, New York City, March 17-May 1, 2016.